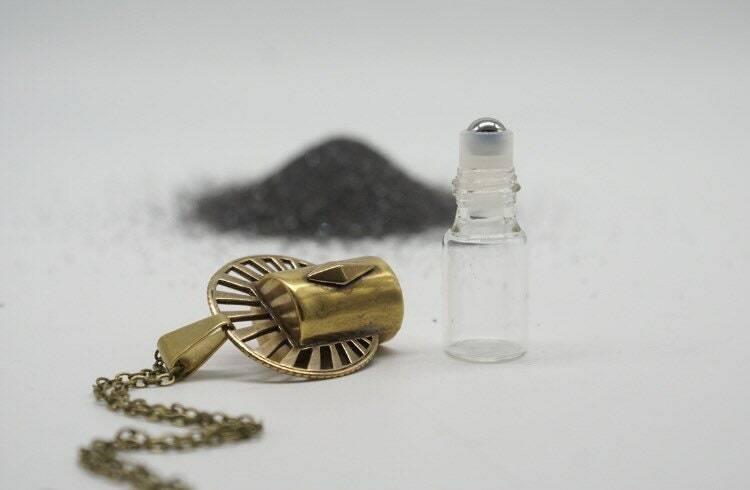 This necklace is as useful as it is beautiful! 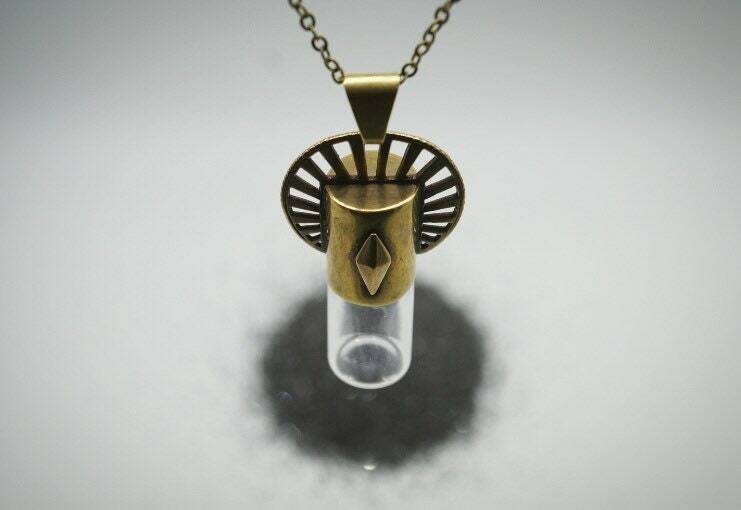 The vial's cap features a faceted kite at the front and is topped with a sun halo with beautiful cut-out rays. A bail connects the pendant to a 30" rolo chain that is finished with a hand-formed hook closure. The pendant measures just slightly over 2 inches from top to bottom and about 1.2 inches at its widest point. The glass vial holds 3ml of essential oil, blends, or perfumes, but can also carry other small treasures simply by popping out the roller-ball insert.